Please join us for a lecture from Professor N.T. Wright discussing his new book, Paul and the Faithfulness of God. Part of his Christian Origins and the Question of God series. The lecture is on Tuesday, February 25th and begins at 5 pm. It will be held at the University of Edinburgh’s New College building in Lecture Room 1. From SPCK: A reception and book signing will follow at Rainy Hall. N.T. 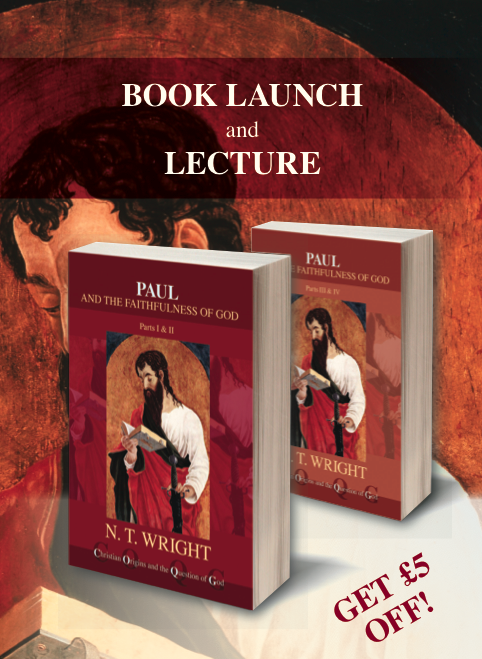 Wright carefully explores the whole context of Paul’s thought and activity – Jewish, Greek, and Roman, cultural, philosophical, religious and imperial – giving us a rounded and profoundly compelling account of the man who became the world’s first, and greatest, Christian theologian.